I switched my vacuum advance from ported to manifold vacuum on my 396/375hp and boy what a difference.My car always ran fine but now it runs even better.I also noticed a drop in engine temperature at idle.Any time my car idled for long periods or I got stuck in traffic I would see the temp gauge slowly go up.I had it running for a 1/2 hour and the hottest it got was 197 degrees.The only problem I have is I cannot find the correct vacuum advance.I am running 12" hg at idle and my advance starts to move at 8"hg and stops at 15"hg.So my idle is a little unstable.All the part numbers listed in the forum for the vacuum advance I need are discontinued.Car Quest told me the part number is good but they are not sure they can get it.Paragon Corvette has an aftermarket vacuum advance with the correct GM part number that I need but they said they do not know if it is the right 4"hg start to 8"hg end that it is supposed to be. I don't want to spend 45.00 and it is the wrong one.Has JohnZ ever dealt with Paragon Corvette?They have 6 different advances listed with different part numbers.I just want to know if all the advance units are the same vacuum pull but have different numbers stamped.IN NCRS judging I guess they check numbers like that.Someone who has a NCRS corvette is probably more interested in the correct numbers than drivability. What vacuum advance are you looking for? NAPA should have a good selection available. Just go to your favorite auto parts store and tell them you need one for a 1973 Camaro 350 2BBL. You want a VAC stamped "B28" - Autozone has them, their #DV1810. Only one company makes ALL the vacuum advance units (Standard Motor Products), and they're re-boxed and sold by six or seven wholesalers, each of which assigns their own number on the box (but all of them have "B28" stamped on the part). I posted all the part numbers for the "B28" unit a month or two ago. Isn't the B28 the same one as for the Z28? Does the 396/375hp engine use the same vacuum advance part? From the factory, no, but this is the only vacuum advance that starts moving at 4" hg and is completely done at 8" hg. 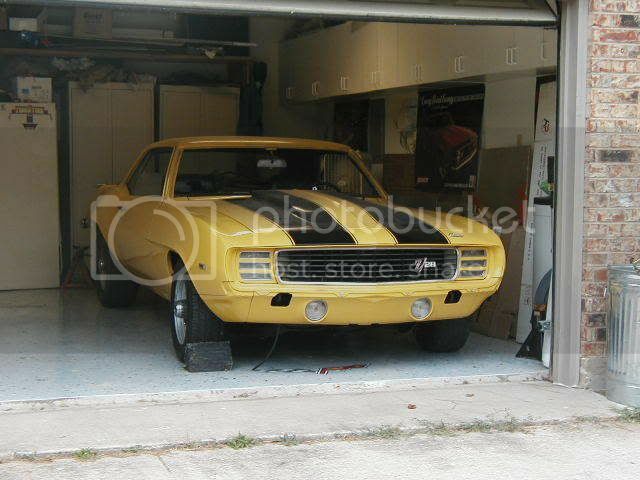 I once again talked to the auto suppliers that are shop deals with(independent auto supplier,UAP/NAPA,Car Quest and Parts Source)and they all said the same thing.All the part numbers listed in the forum are discontinued or obsolete.I even tried the the application :1973 Camaro 350 2 bbl and they said it too was discontinued/obsolete.I also told them to look up Standard Motor Products/Blue Streak and guess what?Discontinued or obsolete.Now I know you said that Autozone can get them but here in Canada we do not have Autozone stores.That is why I was looking at the vacuum advances from Paragon Corvette. Go to ROCKAUTO and put in 1973 Camaro. Select Ignition then Distributor Vacuum Advance. They don't have the one that starts at 4" and completely done at 8", but they do have P/N VC181 which starts at 5" and is all in at 7". Thanks Ed.I will try ordering that part number from the suppliers that I deal with. I had the vacuum advance P/N VC181 come in and it is the wrong one.It starts at 7" and ends at 13" so it will not work on my car.It is also stamped B26.I was already to order it from one of the Corvette suppliers and pay 45.00 but decided to check the internet one more time.And I lucked out.AIRTEX manufactures vacuum advances and they have the one I need.The p/n is 4V1053.There are lots on ebay and amazon.Also ROCKAUTO has them but it is not listed under 1973 Camaro 2bbl.Instead use 1973 Caprice 2bbl and it will come up.And beside the listing it shows the Autozone p/n DV1810 as well as GM p/n 88924985 and 1973469 as a cross reference. I posted these part numbers for the "B28" vacuum advance unit before, but I can't locate the post; ALL vacuum advance units are manufactured exclusively by Standard Motor Products, who sells them to branding wholesalers who re-box them with their own part numbers (but ALL are stamped by SMP with "B"-codes, which define their characteristics). Have you tried RockAuto.com and GMPartsDirect.com? That's where I've been buying them.